Hyrule Warriors is a hack and slash action video game scheduled for worldwide releases in August through September 2014. Developed by Omega Force and Team Ninja for the Wii U video game console, the game is a collaboration between Tecmo Koei and Nintendo, and contains elements from both Nintendo’s The Legend of Zelda series and Tecmo Koei’s Dynasty Warriors series. 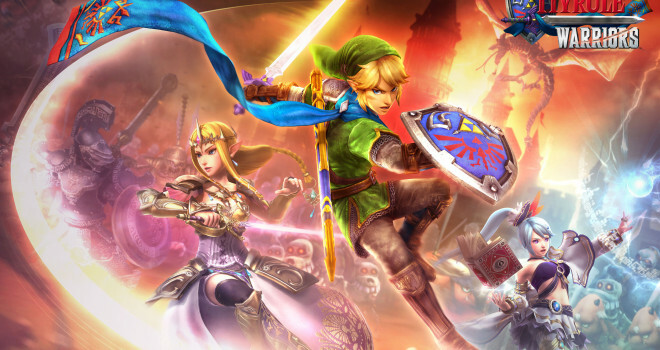 Hyrule Warriors features Dynasty Warriors level and gameplay design featuring characters from the Legend of Zelda series. Dynasty Warriors games tend to usually have online multiplayer. Hyrule Warriors might skip on that feature. The Official Japanese Hyrule Warriors Twitter account confirmed that you will not be able to team up with friends online to play the game. There will be however the option of local co-op mode with one player using the Wii U GamePad and another using a Wii U Pro controller or Wii Remote. Tune in on Monday, August 4, at 8 p.m. PT/11 p.m. ET for a Nintendo Direct providing new details on Hyrule Warriors for Wii U.